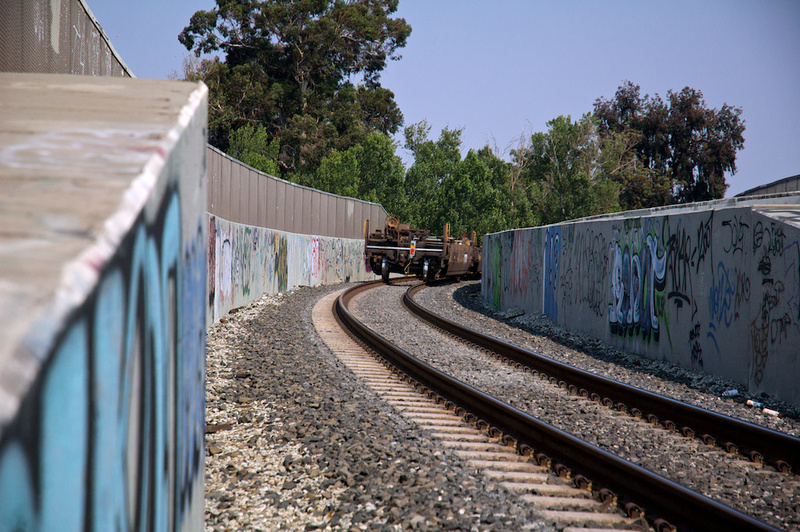 Train full of empty container racks disappears round the bend on the bridge over Guadalupe Parkway, San Jose, Calfornia. In the modern era the caboose has been replaced by the Flashing Rear End Device. Shot with the Nikon D70s and the 18-70mm f/3.5-4.5 zoom at 70mm, ISO 400, f/4.5, shutter 1/3200 sec. White balance, exposure, saturation, highlights, and levels adjustments in Aperture.